Without the dark, we would never see the stars. 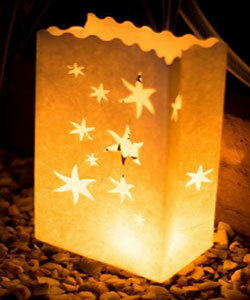 Light up these exquisite Falling Stars candle bags for your next party! Provide the perfect setting for any outdoor event or function. 10 candle bags per pack.